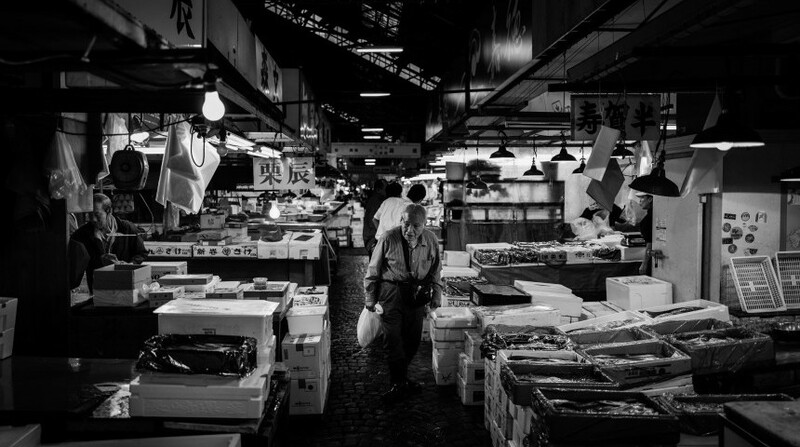 Tsukiji’s beloved and legendary fish market ceased operations on Saturday, October 6 after 83 years at the site. It was a day filled with strong emotions. 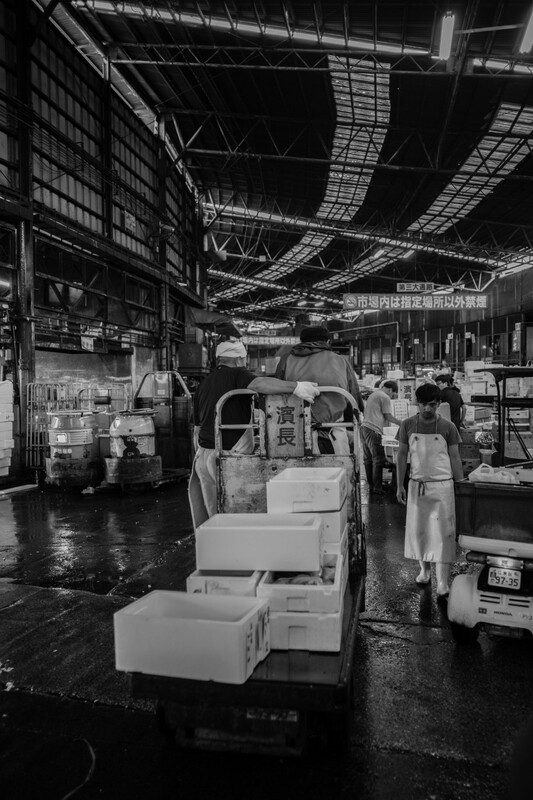 Quite a few inner market workers have chosen retirement over a move to the new market in Toyosu and many more are unhappy with the Tokyo government’s decision to relocate. It was also a day filled with uncertainty for the neighboring outer market, which will remain in its current locations. Will tourists still visit once the inner market is gone? These shopkeepers’ livelihoods hang in the balance. 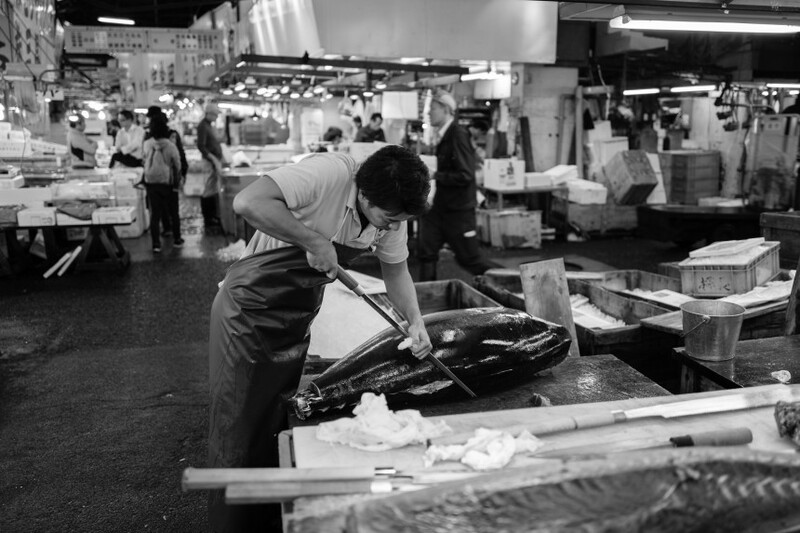 The following photographs were taken on Tsukiji’s final day of business. Toichiro Iida of House of Hicho, a well-known and highly regarded tuna wholesaler, takes out a piece of hon-maguro (blue-fin tuna) from the refrigerator case. 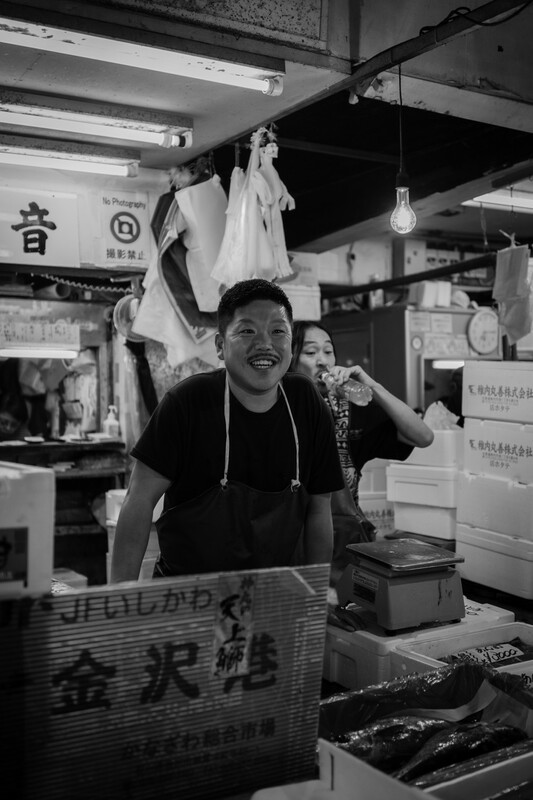 A nakaoroshi gyosha (intermediate wholesaler) greets a friend with a warm smile. 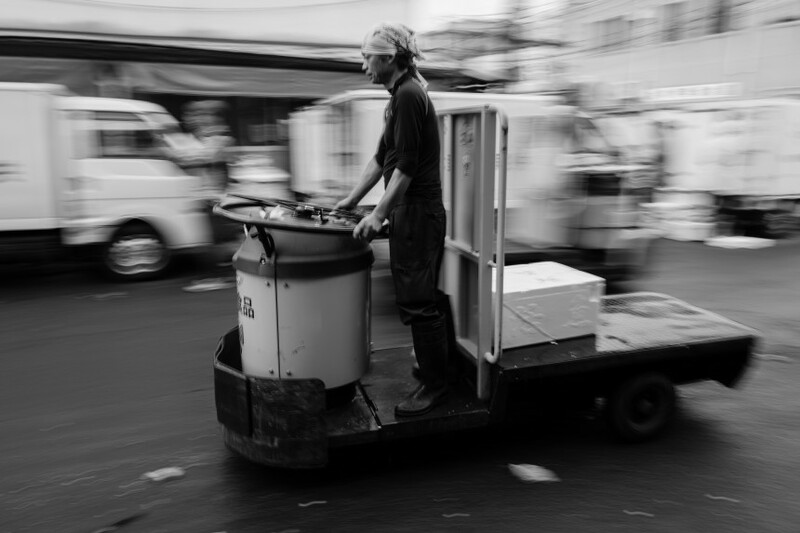 One of Tsukiji’s iconic turret trucks zooms around a narrow alleyway. 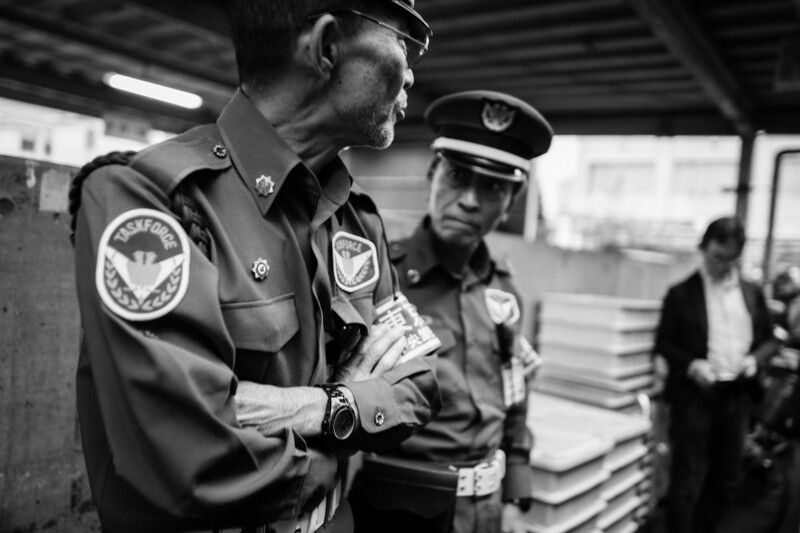 The ever-present market security guards were on high alert during the market’s last day of operation. 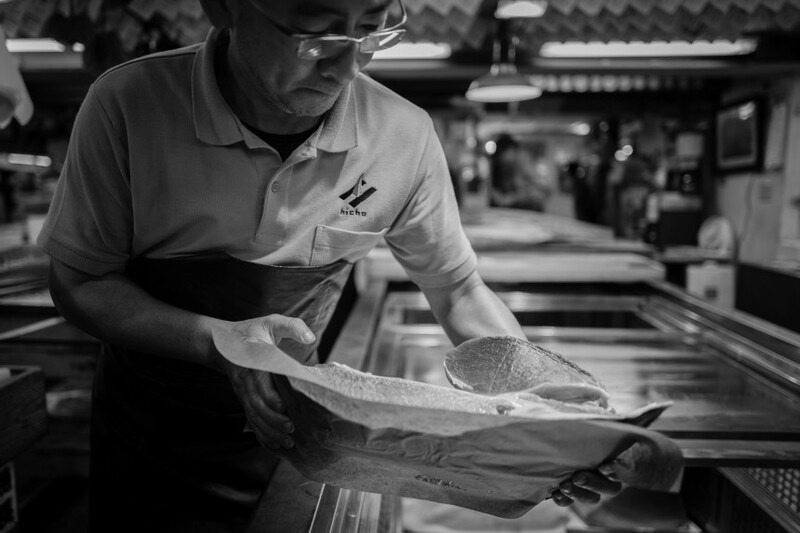 A tsukiji fishmonger slices a tuna carcass. A three-wheeled turret navigates the inner fish market’s main hall. 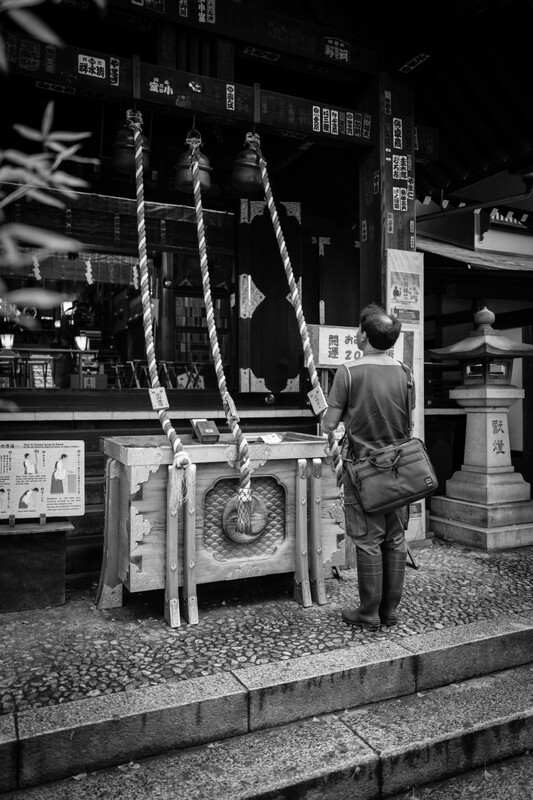 A Tsukiji worker, easily identifiable thanks to his knee-high rubber boots, stops by the Namiyoke Inari Shrine for an after-work prayer. 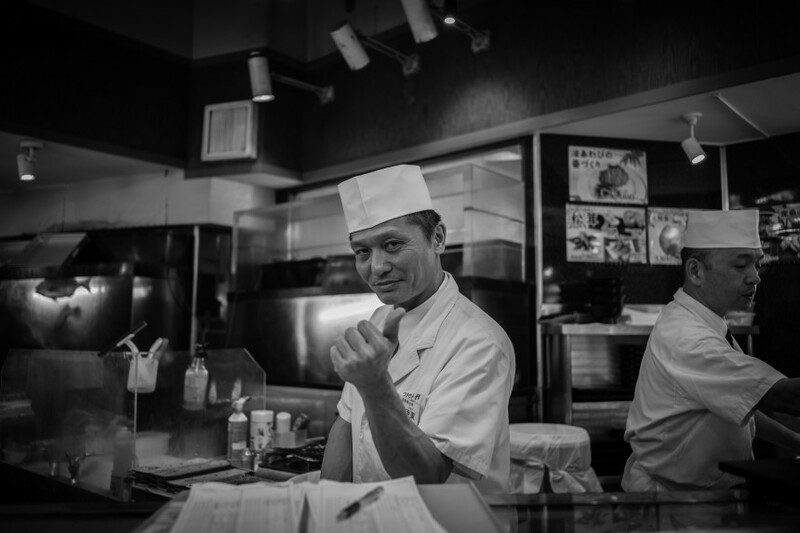 Chef Ito of Sushi Zanmai Honten, located in Tsuiji’s outer market. Many outer market shops and restaurants expect a downturn in business after the inner market’s move to Toyosu.